Powerex scroll compressors are 100% oil-less. No oil is used in the compression cycle. The tip seal on the scroll compressor is self-lubricated and allows the unit to operate efficiently without oil and expensive filtration. 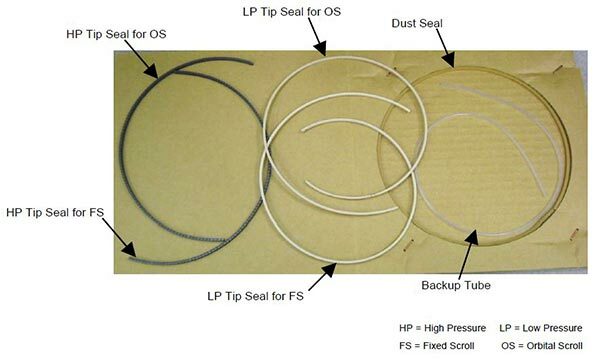 The tip seal should be replaced every 10,000 hours of operating @ 115 psig. 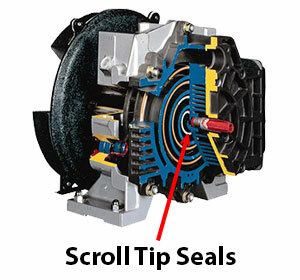 Replace tip seal on scroll compressors SLAE03EB, SLAE05E, and SLAE05EHP at 5,000 hours when operated at 145 psig.